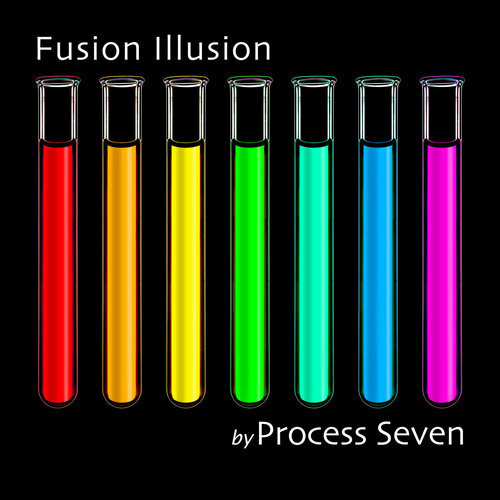 'Fusion Illusion by Process Seven' is an album with diverse influences ranging from 'old-style' 70's funk to progressive rock, latino and jazz-fusion. Guitars are played by Shane Hill, who over the years has traded licks with the likes of Larry Coryell (of the Eleventh House), Mike Walker (of the Impossible Gentlemen), Tal Farlow, and recorded with Acoustic Alchemy guitarists Greg Carmichael & Simon James. He has also recorded with celebrated pianists Jason Rebello (of the Jeff Beck Band) and Rainer Brüninghaus (Jan Garbarek Band). He has frequently worked with the legendary bass player Dave Markee (former Eric Clapton & Frank Zappa bands). Bass grooves are provided by Paul Downing, who as a highly respected bass player & composer, has worked with the likes of Jazz vocalists Mark Murphy and Stacey Kent. Fusion guitarists John Etheridge and Phil Robson as well as the cream of the London Jazz scene. Drums & percussion are provided by Mack Appleton, the solid backbone of the album. Saxes are played by Peter King and Sam Walker, who between them have recorded and performed with the likes of John Dankworth, Ray Charles and Michael Garrick.